The bed was a dream to sleep in. The cottage was cozy and warm with everything anybody needs. Country setting among the birch trees. 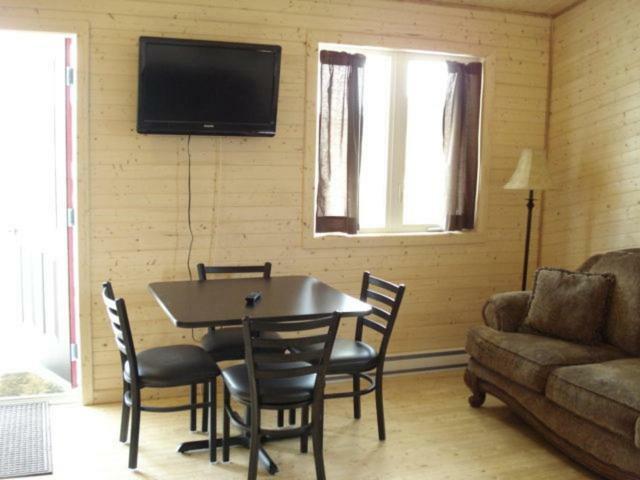 Fully equipped cottage made staying with 4 adults very comfortable. Wish we could have stayed longer. We came in late from the Fogo Island Ferry. The keys were easy to find and the front porch light was on. The property was easy to find and well marked from the highway. It was a really cute little cabin. Clean and spacious enough. Quite well equipped cottage. Private with nice deck and BBQ. Just on the outskirts of main business area with good access to Hwy. The beds were comfortable however the sofa bed was terrible uncomfortable and we ended up just sleeping on the sofa. No top sheet for the sofa bed. Great facilities overall. Beds were very comfortable and the place was immaculate. Overall a wonderful place to stay, with some minor issues we noted. Nice stopping point between St. John's and the Fogo Ferry. Der Empfang war freundlich. Angetroffen habe ich eine komplette Wohnung mit voll eingerichteter Küche, Wohnraum und Schlafzimmer. Mehr brauch man nicht. Man fühlte sich wie zu Hause. Mir wurde auch noch ein kostenloses Frühstück angeboten, was normalerweise nicht enthalten war. Ideale Lage zum Nationalpark und mehreren Küstenorten. Ich komme gerne wieder. Lock in a great price for The Country Inn Cottage – rated 8.9 by recent guests! The Country Inn Cottage This rating is a reflection of how the property compares to the industry standard when it comes to price, facilities and services available. It's based on a self-evaluation by the property. Use this rating to help choose your stay! 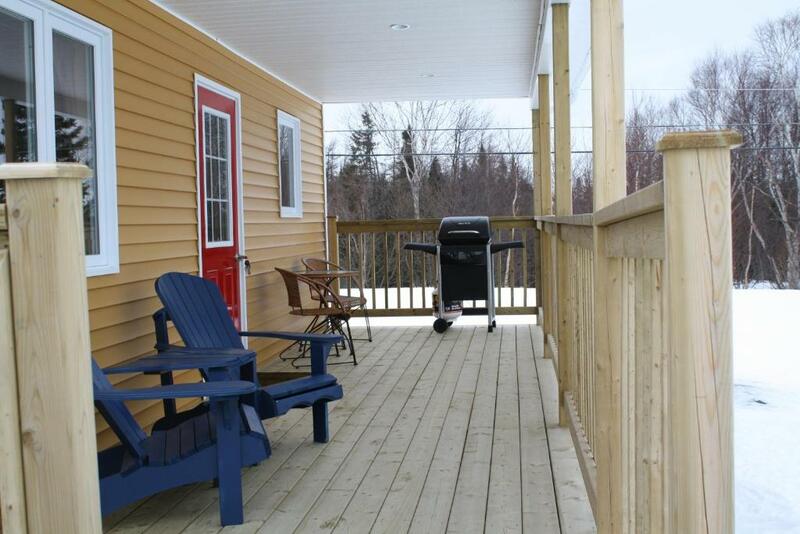 Located 1.2 mi away from Gander city center, this cottage comes equipped with a full kitchen. A flat-screen TV is provided at Country Inn Cottage. A balcony gives view onto the natural surroundings. Nonsmoking rooms feature wood paneling. 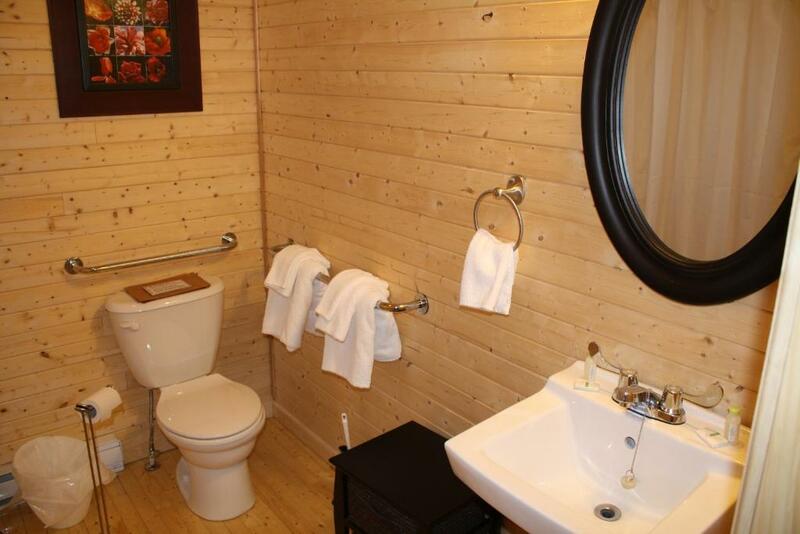 Guests can enjoy a quiet country setting at Gander Country Inn Cottage. The property is handicap accessible. Gander Golf Club is 2 mi away. Salmon and trout rivers are available just 5 minutes away from this property. 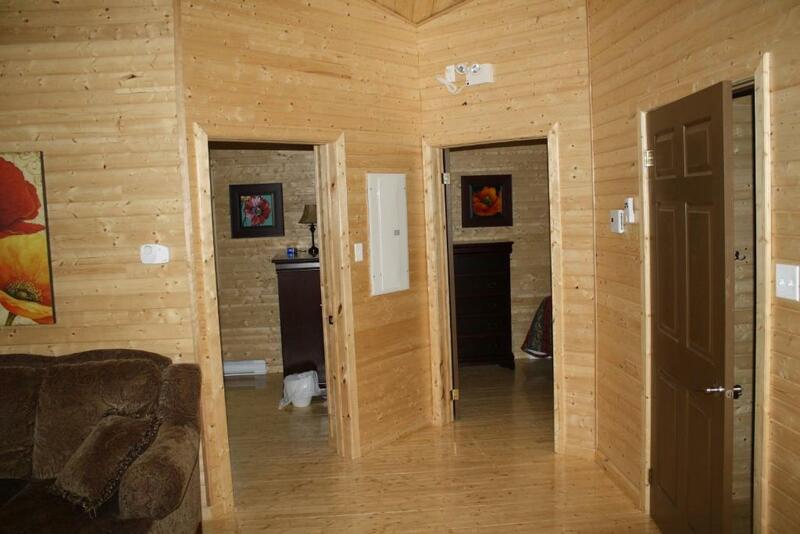 This property is also rated for the best value in Gander! Guests are getting more for their money when compared to other properties in this city. When would you like to stay at The Country Inn Cottage? This cottage is equipped with a kitchen, flat-screen TV and balcony. A bunk bed is also available. House Rules The Country Inn Cottage takes special requests – add in the next step! One child or adult is charged CAD 10 per person per night in an extra bed. The Country Inn Cottage accepts these cards and reserves the right to temporarily hold an amount prior to arrival. Cottage is advertised as 2 bedrooms each with a bed and bunk beds on booking.com. Apon arrival we discovered that it was just 1 bed per room, though it does appear that the couch is a pull out. Wifi was spotty at best. The only time I had reliable wifi was while standing right outside of the office area. Our wifi and tv were not working, (was resolved few hours later) and when we gave our 6 month old a bath, the plug was broken and couldn’t keep water in. The sofa bed was very uncomfortable. The cottage was unique and had lots of soace. The dusty gravel all around the property. The cottage was clean and roomy. BBQ not clean and a little pricey. Everything else was fantastic. Shower head very high and water ran over tub even with shower liner inside tub.